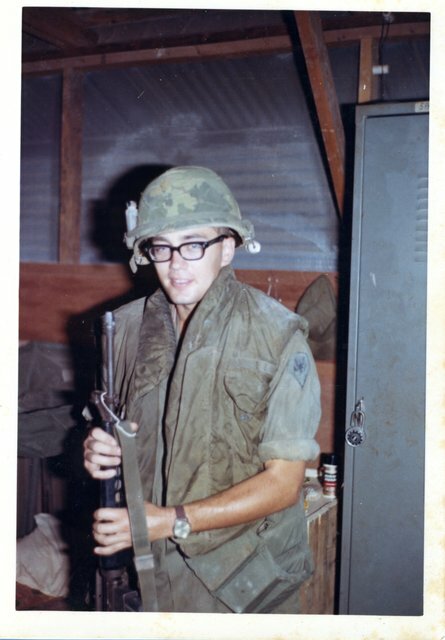 I was a radio operator with B battery 5/2 artillery.dusters in Cu Chi, serving from December 1968 to December 1969. When I wasn`t on radio duty I would volunteer to ride shotgun, drive trucks, or ride one of the dusters escorting the supply convoys to Tay Ninh,and Dau Tieng. Randy Barnes and I shared many days and nights in Vietnam and also shared copies of our pictures so our albums share a few of the same images. —-Thanks to Chris for posting my pictures on his great web site. The site is a tribute to the artillery men and others of the 25th infantry division. What is friendly about this?